The end of the year approaches and Lausanne is swathed in its most beautiful festive atmosphere. Once more this year, the Bô Noël market livens up the town centre. Perfect to find your gifts and discover products from the Lausanne region, but also for children to have fun in a magical atmosphere. This year, the eyes of the youngest sparkle as they discover the Children’s Village in the heart of the City district. In addition to ordering their presents from Father Christmas and his Bô Elf in their hut, they can huddle up in the warmth of the tales grotto. To end the day in style, let’s make our way towards the Flon and its ice rink. It’s free and large enough for the whole family, so there’s no excuse! After the joys of gliding, we take the time on the way back to admire the giant Christmas tree at the Place de la Palud, towering at 12 metres high! Our advice is to go there on the hour, as the square’s speaking clock is illuminated. Winter is first and foremost the season for gourmets. And after ice skating, you do deserve something to warm you up. So, let’s meet at the Friends’ Market, at Bel-Air place, with “Le 2020”. This unique market is proposed by the Youth Olympic Games Lausanne 2020 and offers fondues and mulled wine, as well as a curling and a bobsleigh track to practice before 2020. 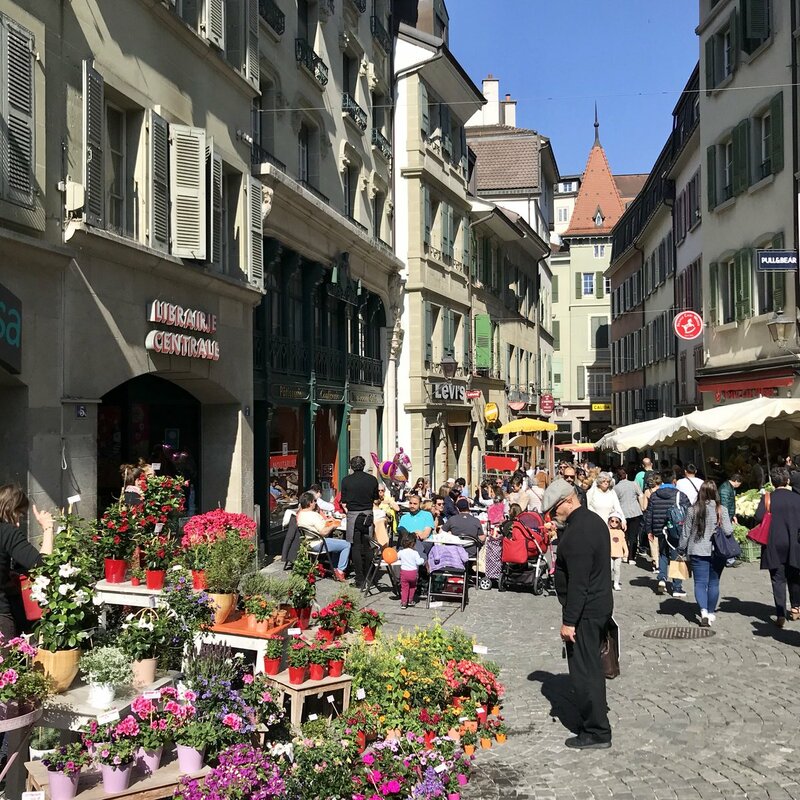 In Lausanne, the Bô Noël Christmas Market is THE meeting place for Lausanne citizens in the evening, for an after-work mulled wine and raclette or a good cheese fondue. From 5 pm and until closing time, the various markets are buzzing. Families will meet up to enjoy the magic of the festive season, friends to have fun and relax around a cup of mulled wine or a Christmas beer. Bô Noël in Lausanne – a unique experience! Lausanne: where to find the best Christmas gifts? Christmas is in a few weeks and you should start looking for gifts for your family and friends.